Boy, chuck a death in a comic and it's the turn of the century all over again, with Ultimate Comics Spider-Man the highest seller. Diamond Comics Distributors figures for June 2011 show DC just trailing Marvel by 9.87% unit share, while Image Comics grabs the title of 'Publisher #3' (on 5.3% u/s), thanks in part to the month's biggest TPB; The Walking Dead Vol14: No Way Out. 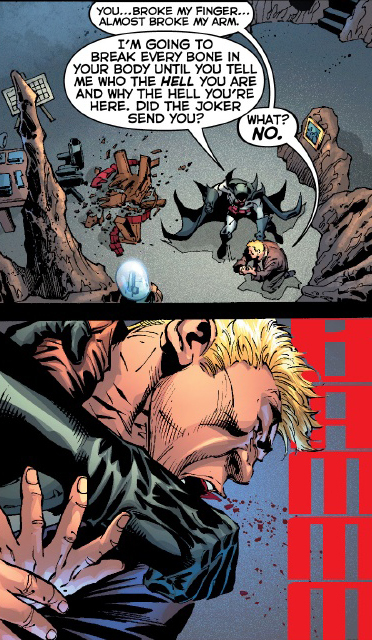 MY THOUGHTS: Proving events sell, I am surprised Fear Itself and Flashpoint still place in the top three. Fear Itself seems to fear giving readers understanding and is no fear-fuelled Sinestro Corps War, while the main Flashpoint book (despite stunning, stunning art by Andy Kubert - left) ironically moves too slowly and is no alternate alternative to Age of Apocalypse. Hopefully both find their feet soon. 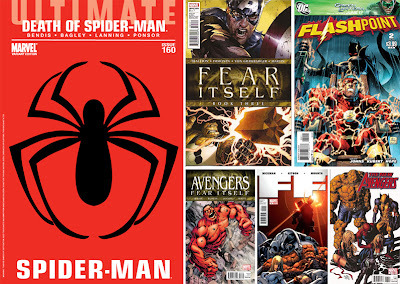 On a positive note, it is good to see Spider-Man ranking highly again. 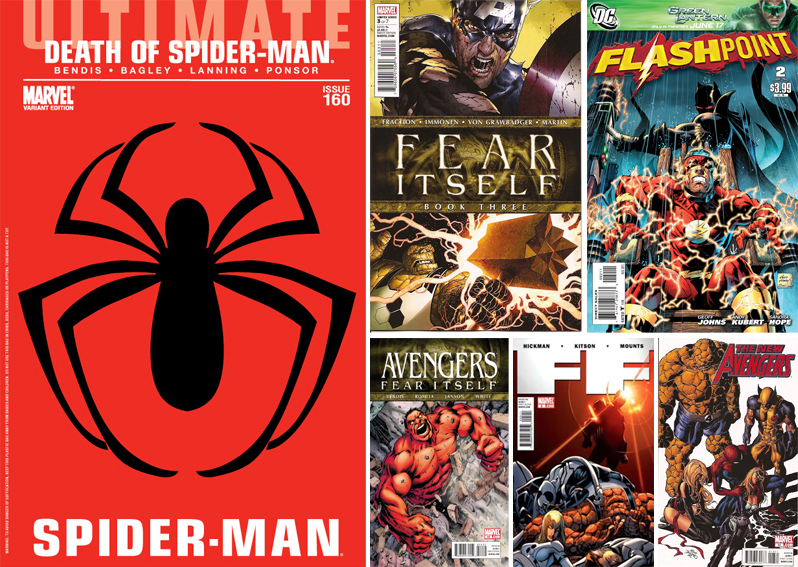 Not only did he take the top spot, Amazing Spider-Man grabbed places 7 and 10, AND he stars in the new Fantastic Four FF, sitting pretty at #5. A healthy Spidey, is a healthy Marvel, is a healthy comics industry. 'Nuff said.